From the author of Lucky Few comes a quirky teen novel about Internet fame, peer pressure, and remembering not to step on the little people on your way to the top! 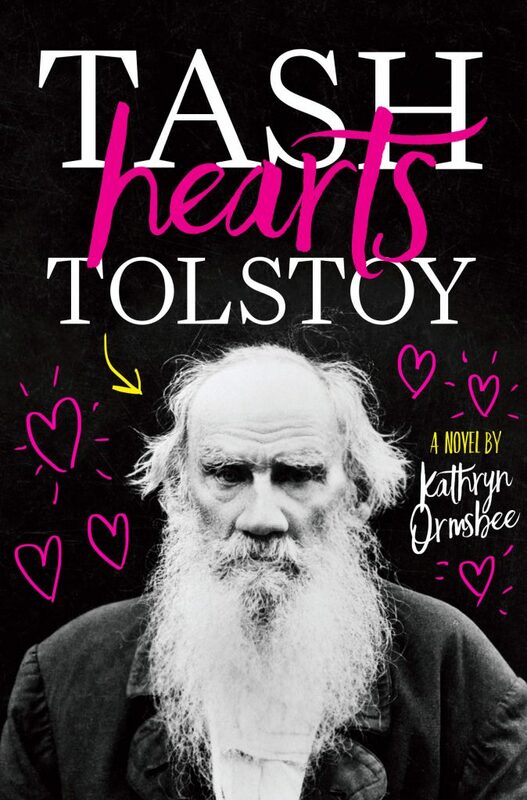 Tash Hearts Tolstoy by Kathryn Ormsbee was actually quite good. I mean, okay y’all I wasn’t expecting it to be bad or anything. It just surprised me a little with how much I enjoyed it. This book is the first book I have ever read about a character who is ace (asexual) so I did not really know what to expect. What I got was a superb story about friendship, finding yourself, and yes, a dash of romance and characters that I simultaneously adored but also wanted to help. The book follows a teenage girl named Tash who has a web series kind of like the Lizzy Bennett diaries that focus on modernizing the story of Anna Karenina. Her web series is called Unhappy Families. Tash Hearts Tolstoy follows what happens when that series goes viral, is nominated for a Golden Tuba award and when Tash meets her internet crush, a guy whose name I forget because well, I do. Anyways, the book also deals with Tash trying to figure out where she’s going to go for college. Her relationship with her sister is going through some turmoil as well. Tash is pretty awesome. She is so driven. Granted, her grades are not stellar. Still, she’s passionate about directing. Plus she has her own personal Youtube channel where she drinks tea and talks about books and other things. I still just totally adore her. It’s great that she loves classic literature so much. I also learned a little bit about asexuality from her. I 100% don’t know if it’s all accurate, but given the love this book seems to be getting, I think that speaks volumes for it. Kathryn Ormsbee’s Tash Hearts Tolstoy is so readable and interesting. I’ll admit that after reading this I wanted to pick up my unread Tolstoy books and give them a shot. Tash is smart but not pretentious. She’s allowed to make mistakes, and hoo boy does she make them. Plus, the scenes with her best friend Jack and Jack’s brother Paul are great. I absolutely rooted for Jack throughout this book and am really glad that I prioritized reading it. When time is a precious commodity, sometimes you need to rank books in order of priority. This one is worthy of that high priority reading.